These are now the standard by which I will measure other wireless earphones (in this price range). The BE2 is not perfect by any means, but its shortcomings are far outshadowed by the things it does right. If you're price-conscious (like most of us), need good sound and battery life for the gym or trails, and don't want anything flashy, then Optoma's latest mobile audio offering is for you. Sound You get a good active listening experience, regardless of music genre. Design You all know by now that I love minimalism when it's done right. The BE2 looks fairly basic, but it has a splash of character with Optoma's "twin blade" ear cup style. Battery life Optoma claims that the BE2 will get 10 hours out of the battery. That is quite accurate, based on my experience. Value The BE2 presents an excellent value proposition. In this case, $50 gets you a lot. Comfort While I've used much less comfortable earphones recently, I was not too thrilled with the BE2 in this regard. None of the silicone cups fit my ears properly, though the "twin blade" ones work the best. Fit The buds themselves constantly fell out during a workout. It became enough of a nuisance that I stopped using them at the gym for a while. When looking for mobile audio accessories, it's very important to consider the overall comfort of the device in question. If it hurts your ears or doesn't fit well, it becomes a distraction — most anyone you talk to will agree that this isn't a good thing when working out. Unfortunately, this is where the NuForce BE2 fails, much to my dismay. To start, none of the silicone cups fit my ears properly, even Optoma's patented "twin blade" style (which looks awesome, by the way). In the end, I had to resign myself to using the earphones without being comfortable; the "twin blade" design worked better than the traditional ones included. There are far worse options out there, especially in the price range, so I have to give the BE2 that. My second gripe is with the fit. Like I said, none of the included ear cups fit me properly, which meant that as soon as I'd start getting sweaty during a workout, the buds would just fall right out. When you factor in the fact that the remote is on the right side of the cord, you come out with a very distracting, subpar experience for something that is designed and marketed for athletes. Between every set, I was resitting the buds in my ears, trying to get the cups to reseal. I do think, however, that Optoma did a good job on the design of the BE2. The neckband-style is my favorite (versus the neckbuds) because they're often more convenient, especially for exercises where you're laying down. There's a clasp of sorts that controls the slack of the cord itself (similar to competition swimming goggles). It was a delicate balance to find between security and range of motion; if you tighten the strap too far (to keep the buds in your ears), you can't turn your head, but if you leave too much slack, the buds tend to fall out. 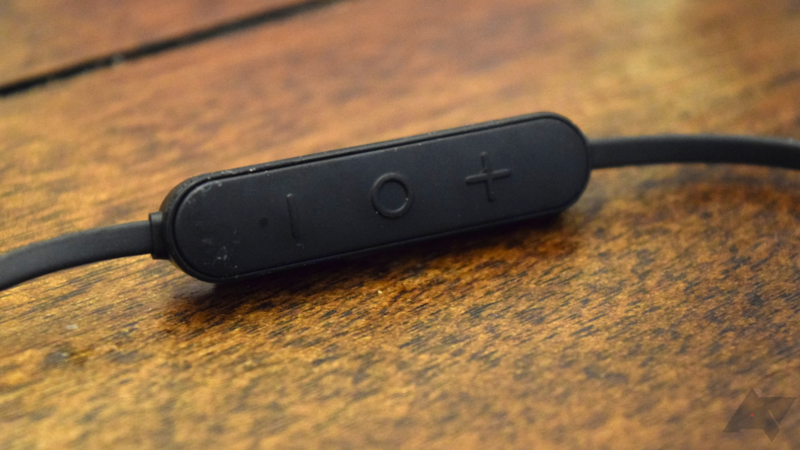 I generally like this adaptability better than a fixed option, like what Jaybird does with its products. The buds magnetize together so that they stay around your neck when you're not using them. I never realized how nice this feature, while not exclusive or unique to the BE2, is in real life and in practice. When talking about wireless audio products centered around fitness, one needs to consider the fact that the sound quality will be different than something not geared toward an active lifestyle. While I love rich mids and solid bass, they can sometimes lead to some volume inconsistency (obviously, it can also be the music file itself). Adjusting said volume repeatedly throughout a workout is just another distraction. All of that being said, I actually like the fact that the BE2 has a flatter sound profile. Bass feels muted most of the time, which disappointed me at first. I later realized that, despite the other distractions presented by the BE2, the reduced lows helped me focus more on the workout — strange, I know. The mids, however, were rich and full, which helped me really get into the flow of the music. Highs are very flat, but like the muted bass, this helped with reducing distractions. Of all of the personal audio products that I've used and tested over the years, the BE2 falls firmly in the middle class for sound quality (supposedly, it's better on Apple products because of AAC). It's not tinny or anything, but it won't amaze or wow you. It gets the job done very well so that you can power through your workout or whatnot. The included microphone is also pretty decent, especially in this price range; call quality on both ends of the conversation was crisp and very clear. As a quick side note, I wanted to briefly talk about the voice prompts on the BE2. 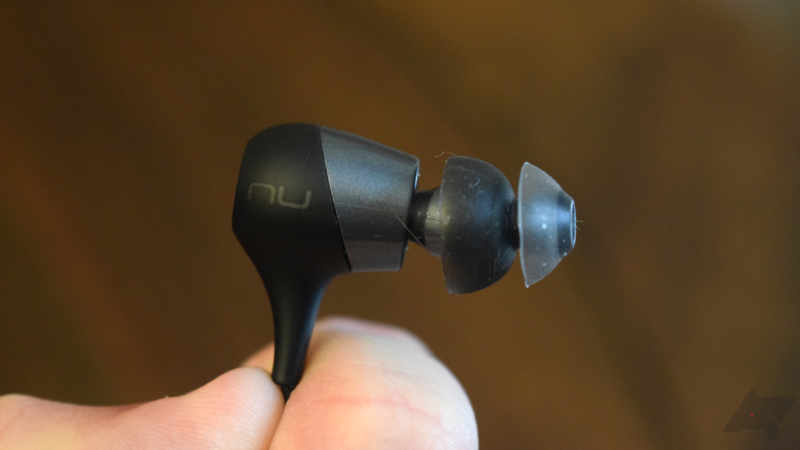 While you normally get a robotic voice (sometimes less so), it seems like this pair of wireless earphones has an actual (British) female voice. It feels more natural and isn't so jarring like other products when there's a low battery alert. I had no idea where else to put this aside, but it loosely relates to sound quality... right? In the marketing materials, Optoma claims that the BE2 will get ten hours of battery life. Based on my experience, this is very accurate; ten hours is just about right for a week's worth of workouts. 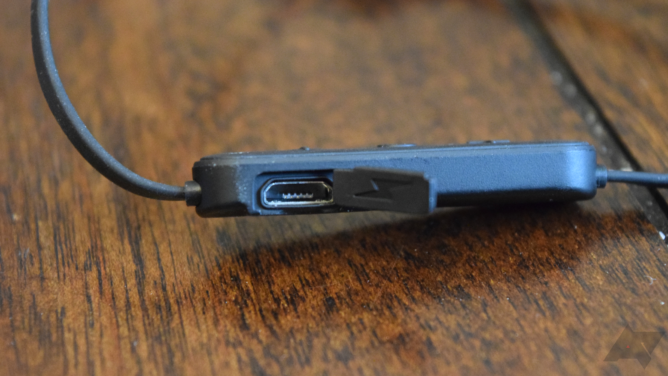 Like many neckbands, the battery and microUSB charging port are located on the remote. Charging from fully dead to 100% took about an hour or so, which isn't too bad. Even just fifteen minutes should give enough juice to make it through that day's workout. I usually have more variation in battery life with wireless audio devices, so I am really impressed with the BE2 in that regard. Ten hours, plus or minus a few minutes, was consistent. Rarely do I say that I actually enjoy a Bluetooth sound product, especially earphones. 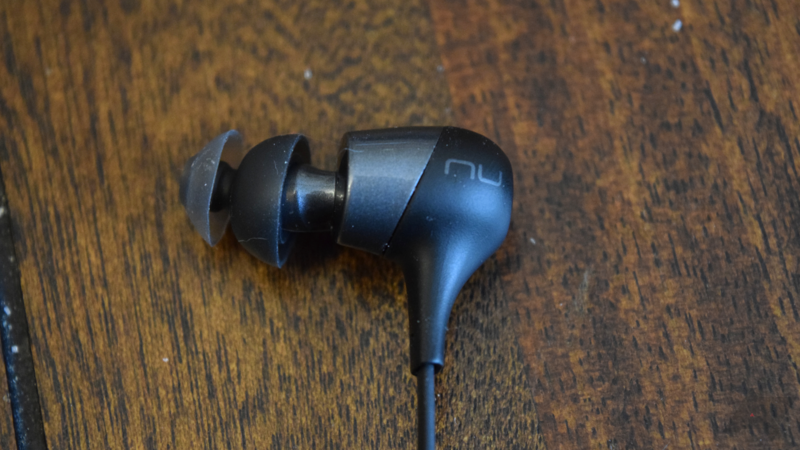 But Optoma's NuForce BE2 far exceeded my general expectations, even if it fell a bit short in certain areas. Those shortcomings, however, can easily be overlooked by some, considering its price. $50 is will get you the BE2, which is another one of its strengths. Honestly, I was happier with this (again, in general) than some other wireless earbuds that I've tested that cost a whole lot more. 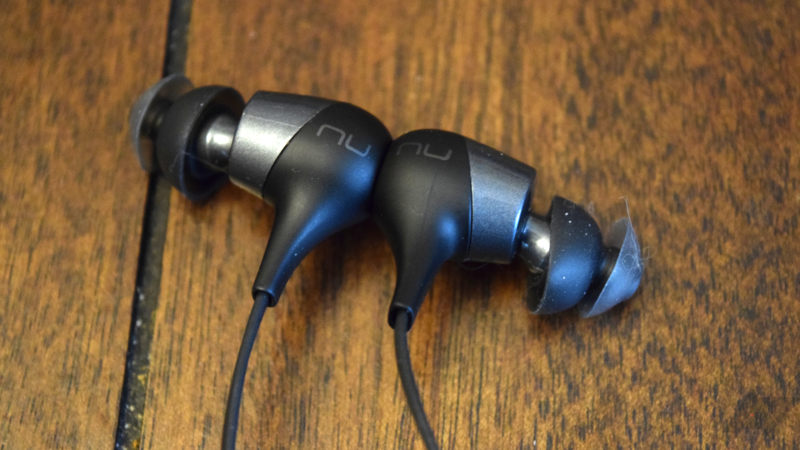 While I can chalk up the comfort issues to my ears being weird, it's harder for me to dismiss the poor fit quality — I've used Bluetooth earphones that were uncomfortable for me, but stayed sealed well in my ears. But when you combine good sound (for athletic purposes), consistently good battery life, and a very attractive price, I say that it's hard to go wrong. So yes, that's me saying that you should consider the Optoma NuForce BE2 if you're looking for some new wireless earbuds. Maybe you'll have better luck with comfort and fit than I did, but even if you don't, it's hard to pass on this product in particular. If you have more money to spend, then I would consider looking at something a bit higher tier, but if budget is a concern and you just want something that gets the job done in the gym, be sure to look at the BE2. You can find the Amazon buy link below to get started.